Health Canada has released new regulations around what legal marijuana will look like this fall, but there's no clear threshold for THC, the active component in cannabis, potency. Health Canada has released its new regulations for the legal recreational marijuana market, but they don't include a clear limit on how much tetrahydrocannabinol (THC) — the main psychoactive component in cannabis — can be sold in many products. As of Oct. 17, Canadians will be permitted to legally buy fresh or dried cannabis, cannabis oil, plants and seeds, and to possess up to 30 grams of dried cannabis or its equivalent in public. 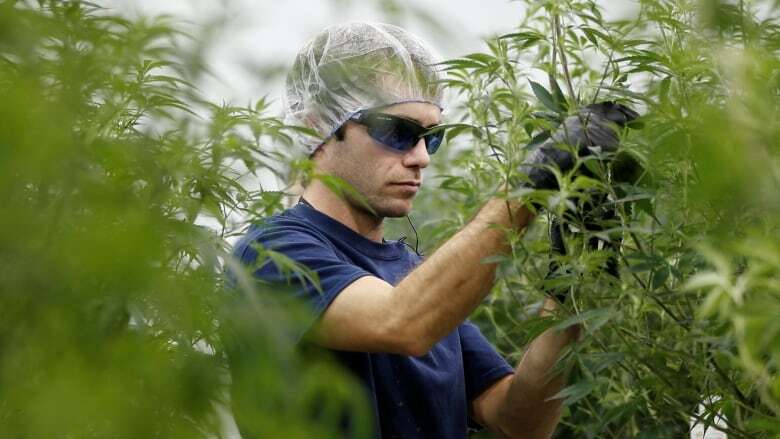 ​Government officials, speaking on background, updated reporters on the regulations for producing and marketing those products during a conference call Wednesday morning. The regulations, which will be officially published July 11, say THC cannot be added to a dried product and place limits on the net weight of dried cannabis products, but do not impose a cap on the potency of dried cannabis. The officials said the lack of a threshold fits into the goal of the government's bill. "There are significant varieties of cannabis, some with high levels of THC. This is consistent with the medical regulations that exist today. There is not a hard cap on the potency of dried cannabis," one official said. "(It's) a means to move to a regulated, diverse marketplace that can compete with the illegal marketplace and successfully achieve the government's objectives." However, there are strict potency rules for cannabis products other than dried marijuana. For example, cannabis products intended to be "administered orally, rectally, vaginally or topically" must not exceed a maximum yield quantity of 10 milligrams of THC. Cannabis products "intended to be used in the human eye" will be banned. As the official legalization date looms, some have questioned whether there will be enough product to serve the new legal recreational market. Federal licences will be required to cultivate and process recreational cannabis, but they won't be processed until after legalization comes into effect. Still, officials say they're pretty confident they'll have enough legal marijuana to meet the demand when legalization kicks in this fall. Provincial governments are responsible for determining how and where recreational cannabis is sold. In some provinces — including Ontario, Quebec and most of Atlantic Canada — the stores will be run by the provincial governments. Elsewhere, the private sector will take the lead. When asked about supply, officials speaking on background said they're pretty confident there will be enough cannabis for opening day. According to the regulations, licence applications will be assessed on merit and a record of previous drug-related offences, including trafficking, won't automatically disqualify an applicant. So having a criminal background won't necessarily prevent Canadians from getting into the industry. In March, Health Canada unveiled its proposals for the packaging and regulation of recreational cannabis. The regulations released Wednesday confirm that cannabis products will have to be sold in plain packaging, with strict guidelines on logos, colours and branding, and must include health warnings. The packaging also would have to indicate how much of the primary active compounds in cannabis — THC and cannabidiol (CBD) — are in a particular product. The rules outline how the federal government would regulate small cultivators and processors. A micro-cultivator — someone growing pot on a small, boutique-like scale — will be restricted to a "plant canopy area" of no more than 200 square meters. The regulations also impose rules on security and state where growers can set up shop. For example, a producer can't grow and harvest plants outside if the operation is adjacent to a school, a public playground, a daycare facility or any other public place frequented mainly by people under 18 years of age.